Kim Kardashian flashes her assets at the Italian Fashion House's Runway Show wearing a low-cut Versace Minidress. 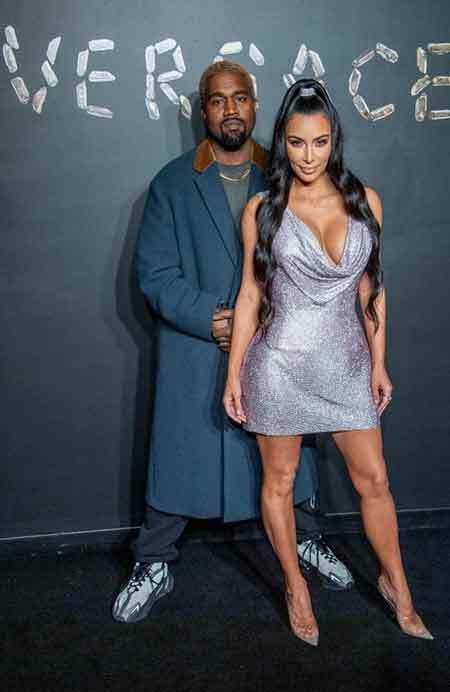 The reality star, Kim Kardashian was spotted with her husband, Kanye West at the Italian Fashion House's Runway Show in New York. CAPTION: Kim Kardashian with Kanya West at Versace Fashion Show. For the event, Keeping Up With The Kardashians star wore a Versace's shimmery low cut mini-dress which showed her cleavage. She paired the look with a see-through heel and kept her pair ponytail. While Kanye was dressed up in a grey T-shirt, black pant, and a gold chain. The look was completed with a blue overcoat. Moreover, the runway featured several top models and stars like Gigi Hadid, Emily Ratajkowski, and Hailey Bieber among others. While Kim was in the New York, she showed her support her sister, Kendall Jenner, who is a reportedly dating basketball player, Ben Simmons, for the Victoria's Secret Fashion Show. She even posted a picture of Kendall on Instagram. Besides, People compared her look with her supermodel sister, Kendall's dress which she wore at her 21st birthday bash. Jenner wore a mesh dress with a custom silver glitters by designer Antonie Salameh. The dress worth $9k featured a plunging neckline, short skirt and, thin chain straps wrapped around her neck. Kendall even was not the first to wear the dress. As a matter of fact, the first lady to wear the dress was Paris Hilton on her 21st birthday party. 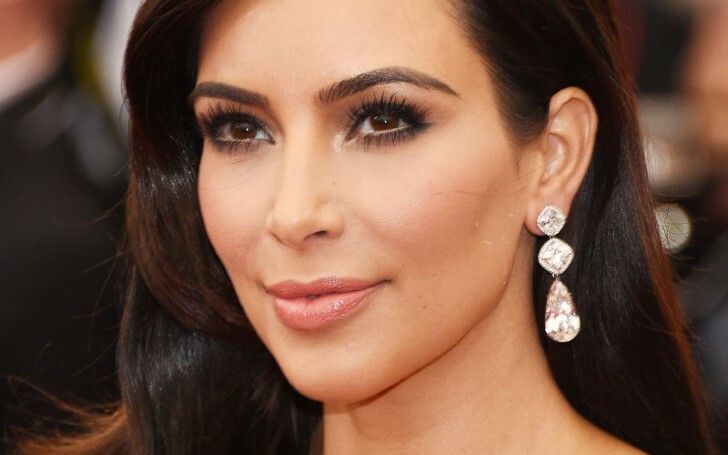 Earlier, Kim launched her first mascara through KKW Beauty so you can look like her.